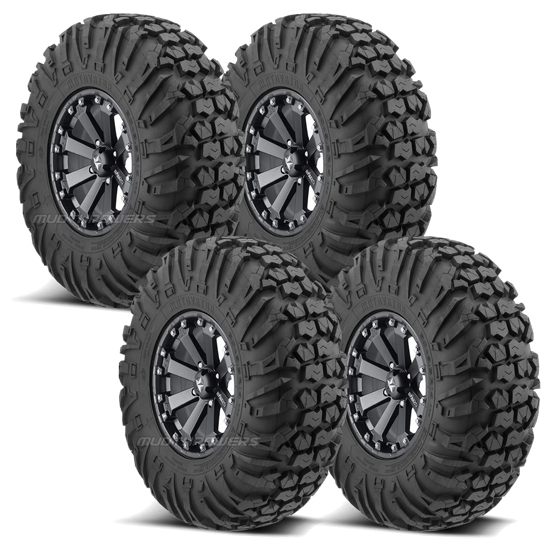 EFX MotoVator tires feature steel belted, radial construction. 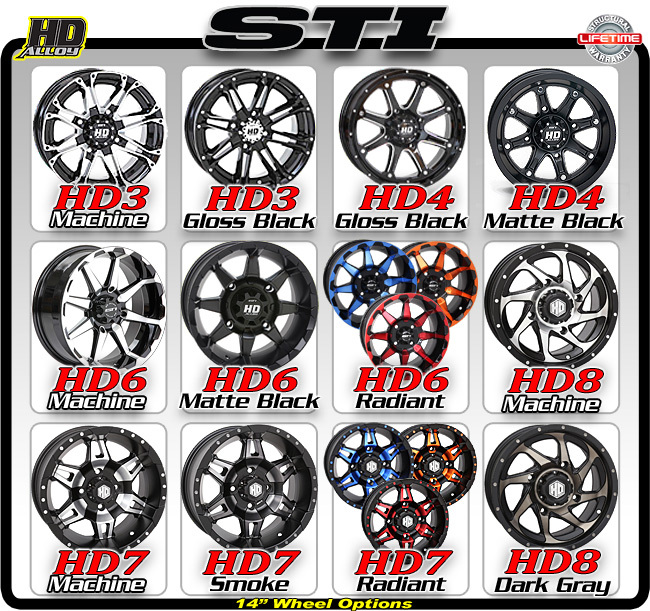 They were specifically designed for harsh terrain! Polaris Sky Blue, and Polaris Lime Squeeze. 3. Specify color ring option in 'Additional Information' during checkout! 1. 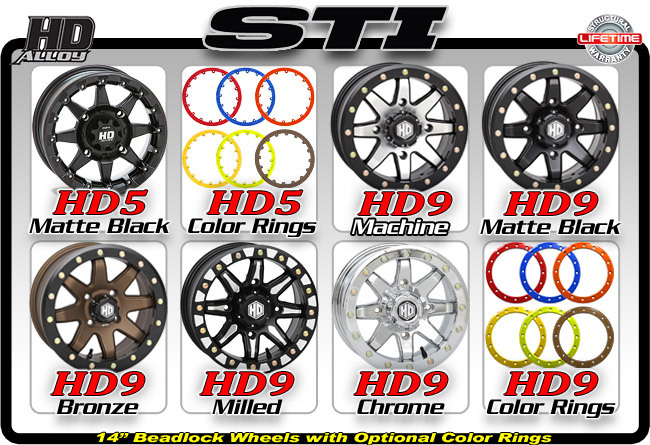 Not available for Arctic Cat 4/115 bolt patterns, except for Rockstar and Machete Beadlock. 2. 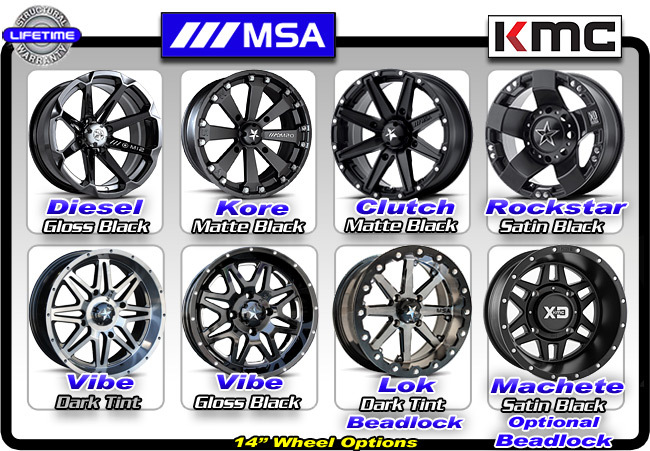 MSA and KMC wheels feature a lifetime structural warranty.